bought just to fill in some spaces in my garden. It did the job very well, blooming for months and is still blooming now. big enough to photograph in macro. But, from another angle, they look like miniature orchids! 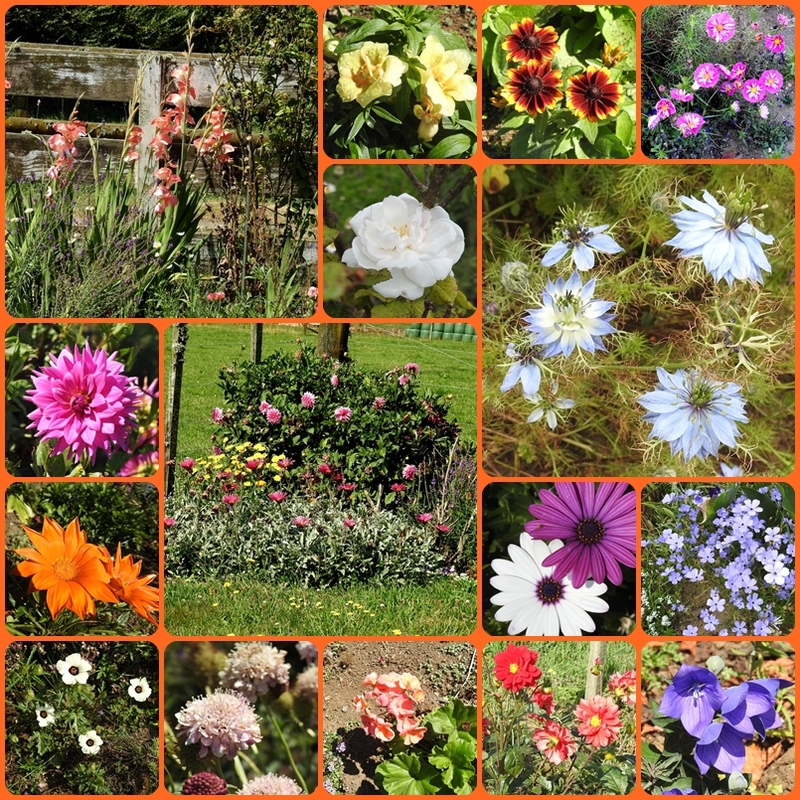 mosaic of my summer flowers. What lovely and astonishing lipstick flowers! Thank you for these beauties, Betty! The lipstick flowers are very pretty. Yes, they do look like orchids. Hope you are feeling better now. Take care and happy weekend! ...a beautiful riot of color! The lipstick flower is very cute! It pays to take a second look at things, and something I forget to do is to turn around and look behind me. Often times, will see a wonderful view that way. Looks like you got plenty going on in your garden, lots of colour. Die bunten Blumen in der Collage machen Lust auf gute Laune. I love the lipstick flower from that angle! I bet the hummingbirds like it!